Her talent was discovered during a skilling meeting in Haliyal. 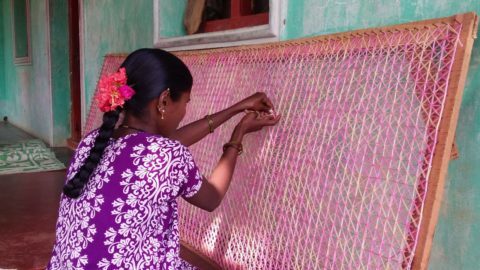 The shy lady hesitatingly spoke out about how she had learnt the craft of ‘keela'( nail) weaving during her posting in Agra as an Army wife. CherYsh made note of the tremendous talent and the fact that she can bring this skill to a number of women in the community. She is now our resource person who has begun training women in nail weaving, and with guidance from a designer, they can weave magic out of a simple, rustic framework of wood and nails. 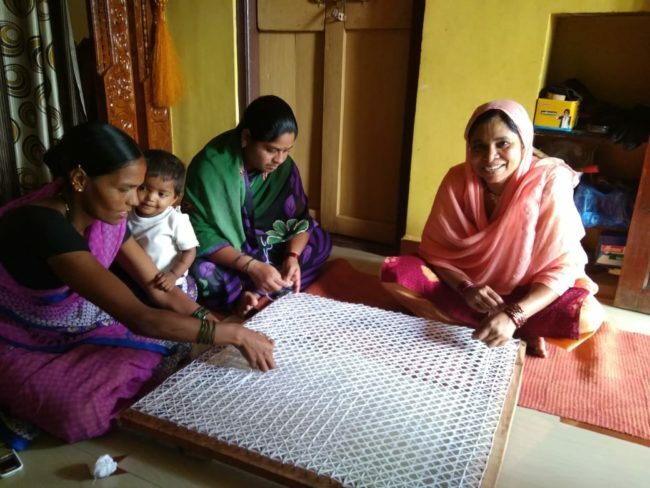 Shenaz Begam is our beneficiary who has turned into an asset and CherYsh has plans for setting up an enterprise where she leads skilled women of her community.